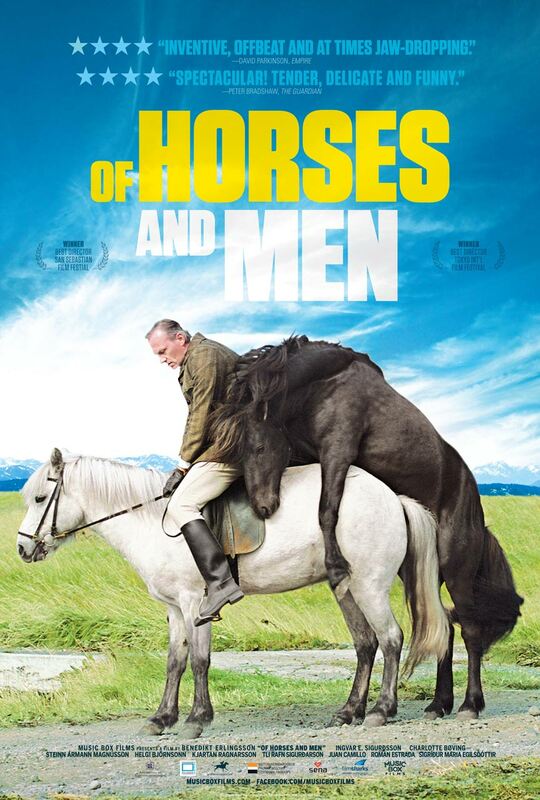 November's offering is the Icelandic film 'Of Horses & Men' about romance between humans blossoming through a bond with horses. Described as a "short, sharp, startling little movie" by The Guardian, and "Like 'Last of the Summer Wine' directed by Ingmar Bergmann" by The Telegraph, it interweaves 6 tales linked by horses, and backdropped with the stunning Icelandic countryside. Cost is £7 to non-members, although it is free for members (£35/year for 12 films a year) and members also get use of our extensive DVD library for free, plus free entry to our Christmas party. Details of how to join are here. Don't forget to like & follow us on Facebook as well.